Voters in Spain's Catalonia region have given a majority to parties seeking Catalan independence. In Egypt, president’s power grab unites those who once battled over Mubarak - With Egyptian President Mohamed Morsi’s decision to assume near-absolute power over his country, at least for now, secularists of all stripes have mobilized in ways unimaginable just a week ago. More European states joined France on Wednesday in backing a Palestinian bid for limited statehood, but Britain held back, saying it wanted an assurance that the Palestinians would not pursue Israel through the International Criminal Court. "States and banks have made a deal with the devil." Banks buy the sovereign bonds needed to prop states up in the tacit understanding that the states will bail them out in a pinch. But experts warn that this symbiotic arrangement might be putting the entire financial system at risk. 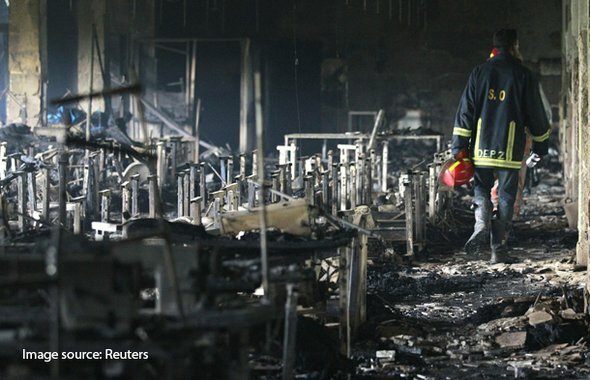 Over 500 Bangladesh clothes factories for Walmart, H&M, Tesco & others declare wild-cat "holiday", fearing rising protests against bad labor conditions - Garment workers demanding end to "deathtraps" after new blaze sparks fresh panic & terror following worst-ever textile factory fire in country. Bulging in the middle. A boom in sub-Saharan Africa is attracting business talent from the rich world. Rice University researchers demonstrate a mechanism to generate steam in seconds by focusing sunlight on a mixture of water and nanoparticles, before the water is even warm to the touch. Blind people could soon be able to read street signs using an implant that translates the alphabet into Braille and beams an image of the Braille directly to visual neurons at the back of the eye. 5 American towns leapfrogging toward a greener future: These places aren’t waiting for the rest of the world to set an example. Spinning flywheels boost subways: A technology normally associated with the steam age could make a comeback in tomorrow's trains. a designer has created a low cost solution to landmine clearance.